Do you make, break, and tinker with things? Are you a seeker of unconventional wisdom? Do you think in algorithms? Then welcome to FTFY, also known as Fixed That For You—a show about solving problems with data and algorithms. When we say Fixed That For You, we don’t mean it in that sometimes-snarky, message board way. We’re talking about the unconventional ways that really clever people tackle big problems, small problems, mysterious problems, even weird problems. And we learn about the iterative process behind inventive solutions to those problems, devised by engineers, software developers, computer scientists, and everyday people who are doing incredible things with data. From preventing human stampedes, to building an artificial pancreas, to finding the perfect romantic partner, to tracking down criminal wildlife poachers, and much more, there’s probably an algorithm for that. Hosted by science journalist, Cara Santa Maria. 10,000 tulips, the price of Bitcoin, and competing computers. On this episode of 'Fixed That For You' we ask “Can a computer make art?” If that sounds too philosophical, just remember, artificial intelligence is trying to save us time by doing the repetitive jobs we hate. Artist Anna Ridler goes from writing simple formulas in Excel to directing a Generative Adversarial Network that creates a dynamic art installation. Of the thousands of books published this year, how can we predict which will become bestsellers? Book lovers, Jodie Archer and Matt Jockers, set out to answer this million dollar question with an algorithm. In this episode of ‘Fixed That For You,’ we merge art and science by turning words into numbers. Discover the secret similarities between The Da Vinci Code and Fifty Shades of Grey, and learn how an open-source library can help you write a best-seller of your own. Is the humble hamburger our planet’s new hero? It is according to biochemist Pat Brown. In this episode of ‘Fixed That For You’ we visit Brown’s Impossible Foods lab where he’s broken down America’s favorite food into one delicious dataset. Join us as we figure out exactly which molecules make burgers taste the way they do, and then try to find those exact same molecules in plants. What if an algorithm could be your doctor? Living with Type 1 diabetes usually means making a lot of medical decisions on your own, sometimes daily. In this episode of ‘Fixed That For You’, you’ll hear about a problem millions of sick people face daily. It’s the story of Dana Lewis, a young woman who got tired of managing her disease, and decided to replace biology with data by creating an artificial pancreas. The results? Life changing. There is a festival in India so amazing that millions of people attend every year – despite the near certainty that many will die. Nilay Kulkarni grew up hearing the horror stories of human stampedes that claimed hundreds of lives annually. With a desire to prevent what seemed inevitable, the guiding voice of his grandfather, a hackathon, and a set of black rubber mats, Kulkarni took on human stampedes. This episode of ‘Fixed That For You’ combines the science of crowd control with the power of a lifesaving DIY data collection tool. Do you make, break, and tinker with things? Are you a seeker of unconventional wisdom? Like to celebrate engineer-specific thinking? 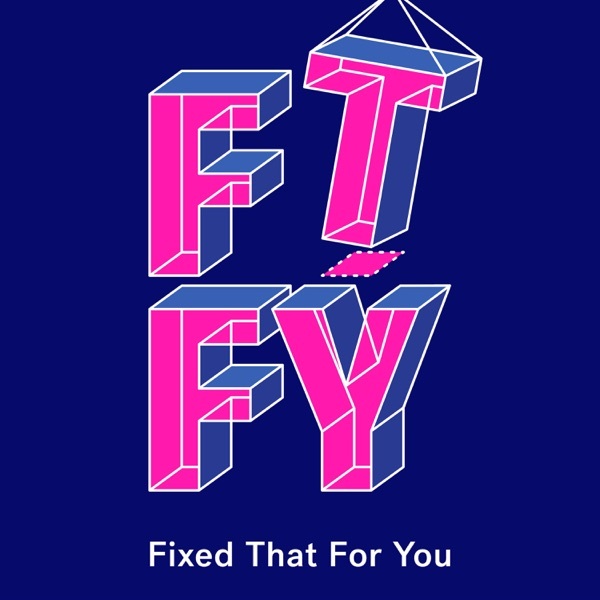 Then welcome to FTFY, also known as Fixed That For You—a show about solving problems with data and algorithms... Launches January 14.